Brighten up your home each month of the year with a Back Door Wall Hanging! These beautiful wall hangings were designed by Cottage Creek Quilts and recolored by Jennifer Bosworth of Shabby Fabrics. 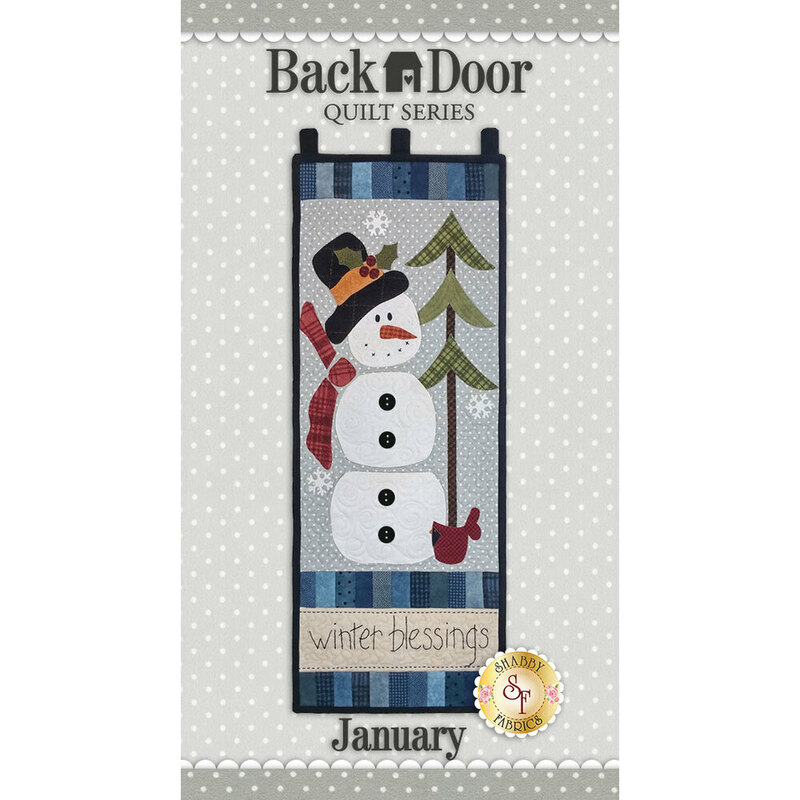 This applique kit is for the January design. Wall Hanging measures 11½" x 30" and hangs from a darling dowel hanger (not included - available separately below). Your kit will include the pattern, top fabrics, binding, backing, and any necessary embellishments to complete this wall hanging. This project is made with flannel fabrics. The applique pieces arrive to you pre-fused with Heat n Bond Lite and laser-cut to size making these one day projects quick, fun and oh so easy!